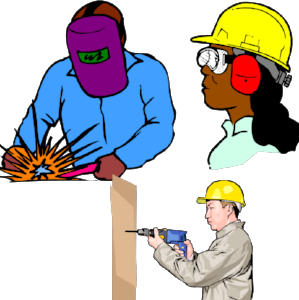 The OSHA 30-Hour General Industry Program provides training for workers and employers on the recognition, avoidance, abatement, and prevention of safety and health hazards in workplaces. The program also provides information regarding workers' rights and employer responsibilities. This is a voluntary program and does not meet training requirements for any specific OSHA standards. This 30-hour class is appropriate for owners, supervisors or workers with safety responsibility. Through this training, employers help to ensure that workers are more knowledgeable about workplace hazards and applicable standards, their rights, and contribute to our nation's productivity. Upon completion of the course, attendees will receive a certification card from the Safety Council of Northwest Ohio and OSHA. Successful completion demonstrates an effort towards voluntary compliance with all applicable OSHA standards and can be to your advantage in an OSHA inspection. * You will benefit from receiving an official certification card from OSHA and an official certificate indicating you have successfully completed the course requirements. * If an OSHA inspector arrives at your worksite, this card will demonstrate an effort towards voluntary compliance with applicable OSHA standards. * You will receive a comprehensive text covering the 1910 standards. Non-members $650 per person, no discount for mutiple attendee's. Cancellations less than 24- hours in advance are responsible for the full registration fees and payments will not be refunded. Substitutions may be made at any time.